Port St. Lucie Probate Lawyers and Lawyers | The Estate, Trust & Elder Law Firm P.L. Probate is a court process that involves identifying, gathering, and distributing assets titled in the decedent’s name alone and addressing any liabilities after you die. Even with a valid will, probate may still be necessary to pass ownership of probate assets to your beneficiaries. If you do not have a will, your assets will pass in accordance with the Florida statutes on intestate distribution. Probate can be a challenging, confusing, and lengthy process, and can compound the grief that family members are dealing with after the loss of a loved one. At the Estate, Trust & Elder Law Firm, P.L., we help Treasure Coast families through every step of the probate process, providing legal representation that can bring clarity and finality to the issues involved in resolving a loved one’s affairs. The need for probate depends on the kinds of assets and property you own and whether you own it alone or with others. Assets that are jointly owned between husband-and-wife generally pass automatically to the surviving spouse without probate. Similarly, joint assets with other owners oftentimes do as well. Most insurance proceeds, annuities, individual retirement accounts, or other qualified retirement benefits which name specific beneficiaries who will receive those proceeds upon the death of the owner will also avoid the probate process. However, assets titled in the decedent’s name alone must be probated. Your personal representative will need to gather and inventory such assets. If your will does not effectively appoint a personal representative, the court will appoint one for you. Before the court will authorize the distribution of the assets in accordance with the will or the laws of intestate succession, procedures must be followed to assure the court that all debts and taxes have been paid. If there is disagreement over your will, a probate judge will resolve those differences. Probate laws in Florida apply to the estates of people who were residents of Florida at the time of their death. Probate also applies to other states’ residents who own real property in Florida. Even when things go smoothly, the complicated procedures and practical challenges of the probate process can be daunting. That is why it is so important to retain an experienced Florida probate attorney to guide you through the process. 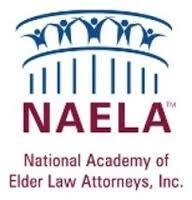 No matter the size or complexity of the estate, the Estate, Trust & Elder Law Firm, P.L. can help you through the challenges of probate with sound, practical counsel and personal attention. 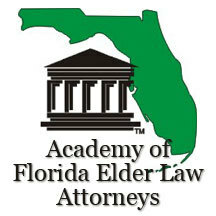 Michael Fowler is Board Certified by the Florida bar in both Wills, Trusts, and Estates and in Elder Law, and we have the knowledge and insight to make the process efficient and understandable. Please give us a call to arrange for your initial consultation at one of our conveniently located offices.